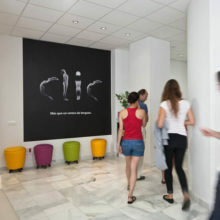 Founded in 1983, CLIC International House is a renowned Spanish language school in Seville. CLIC has earned its reputation by providing a positive learning environment for students. We employ top-tier teachers who provide practical learning experiences. Additionally, students enjoy vibrant local culture and temperate climate. As a result, this language center has become one of the best places to study Spanish in Seville. CLIC International House provides Spanish language courses to students of all ages and abilities. Above all, our curriculum values small groups, technology, and dynamic teaching methods. Throughout the year, CLIC offers 8 different Spanish levels. Furthermore, students of all levels receive inclusive and ongoing support. This Spanish language school in Seville is also part of International House. 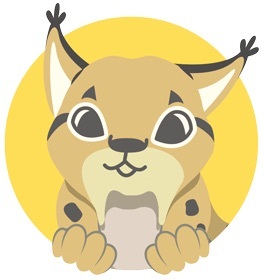 Consequently, CLIC is connected to one of the most distinguished language school networks in the world. Medium-high intensity means that CLIC International House Spanish Language School in Seville creates high proficiency students in a short period of time. Students learn vocabulary, grammar, and communication skills very quickly so they can begin to navigate everyday situations in Spain. This program is available in Spring and Autumn. It lasts from 15 to 17 weeks, which includes a 4-week intensive Spanish course at CLIC followed by studies at the University of Seville. Courses at the university are offered in Spanish and English. Students will also be able to participate in a 6-week internship at the end of their studies. The program accommodates beginners as well as advanced students. Seville is one of the most popular cities in Europe for international students and travelers. Seville is well known for its beauty, elegance, and cultural heritage. It possesses one of the largest and richest historical city centers in Europe and is a Unesco World Heritage site. Seville is an energetic and creative city that contains historic monuments, marvelous gastronomy, and a provincial lifestyle all in one place. For these reasons, Seville is one of the best cities to study Spanish in Spain! This Spanish language school in Seville is located in a quiet area of downtown. It is only 7 minutes on foot from the famous Giralda, the bell tower of the Seville Cathedral, a perfect place to study Spanish in Seville. 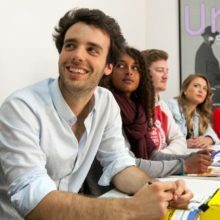 The General Spanish Course includes 20 lessons per week of 50 minutes each to learn Spanish in Seville. This Spanish language course in Seville helps to develop your knowledge in a small multinational group of 6 to 10 students. This course aims to build multimodal Spanish skills: speaking, listening, reading, and writing. Most importantly, the course is based on an interactive methodology that is both stimulating and student-centered. Additionally, students can obtain ECTS credits for taking this course. School usually starts every Monday of the year. This course is designed for foreign students who wish to complete a university degree in Spain. A minimum level of B1 in Spanish is required. However, it is possible to do a General Spanish course beforehand to reach the appropriate level. Most noteworthy is our unique Flamenco course in which students learn Spanish while experiencing local culture. During this course, you will receive Flamenco lessons in a professional studio. The students can obtain ECTS credits for all the intensive Spanish courses at this school. The Spanish courses are recognized by the Spanish public University. Depending on the level, students can obtain a maximum of 30 ECTS. The General Spanish Course includes a minimum of 3 free social and cultural activities per week. These outings help the students practice Spanish outside of the classroom. Note: The total costs above include classes, study counsellor, study room and language lab, placement test, use of school facilities, free internet (Wi-Fi), weekly activities and certificate of attendance. Books are not included and cost roughly 20€ per level.